The problem of substance abuse has growing implications in the workplace, particularly true regarding opioids. Virtually everyone is touched by this horrific and growing concern. 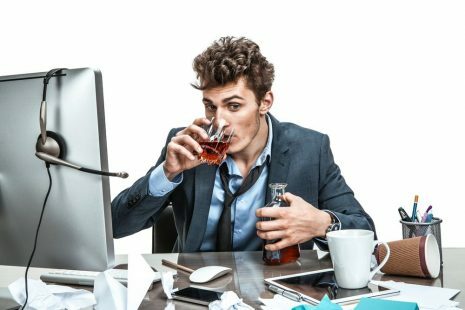 The holidays, including office parties, can be a trigger for many. The intent of this article is to inform and prepare business owners for the potential impact of this seemingly festive season and beyond, with regard to drug use in general. We know from many sources that the dramatic increase in opioid prescriptions over the last 15 years has soared. The statistics tell a deeply troubling story. Sales of prescription painkillers in the U.S. quadrupled between 1999 and 2010. Christopher Smith, a contributor to U.S. News & World Report, points out that “a third of Americans have been prescribed opioid pain killers and opioids that are so addictive that research suggest that one in five who start a 10-day supply become longer term users. Smith then pointed out “the opioid epidemic has created an enormous financial burden and competitive strain on employers of all sizes – in the form of a diminished labor force, compromised productivity and higher healthcare costs.” One of the most alarming realities is that in 2015 more than $11.5 billion in workers’ compensation costs were directly related to opioid use. 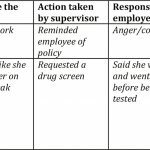 What does an employer do if they suspect someone in the company is using drugs? “Employers don’t want to be parents, social workers or police officers to their employees. To avoid these roles, be sure that your policy and procedure manual has a section on drug use and that the consequences are clear. As an employer, one often discovers drug/alcohol problems through absenteeism, poor work quality and/or deterioration of appearance. When these occur, you want to act quickly. Your action will avoid the risk of injury, damage or losing a valued worker.